Amongst the leading rivals in the beverage industry, Coca-Cola and Pepsi struggle to remain on the top and prove to be the fiercest competition for each other. Keeping up their reputation and serving the masses since the past many decades, Coke and Pepsi both have similar problems, such as having inappropriate ingredients that are not suitable for different nations, like India, due to the cultural differences. For the sake of their future growth, these companies are seen to compromise in order to have their status and figures remaining on the top. Both the drinks continue to confuse the consumers in the competition of wanting to be the best. When it comes to the essential figures, we have seen that Pepsi has more advantages whereas coke is getting superior figures. Pepsi wins the game when it comes to making revenues and creating profit margins and it has been noted that since the past few months, Pepsi has updated itself more than Coke has. 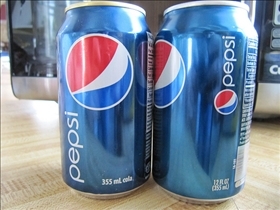 This is an indication that the investment banks are favoring Pepsi over coke. However, the companies aim to secure better measures in the future of promising markets which may bring them loss at one time but in the longer run, there is an increase in the economies of scale. Pepsi has had constant growth during its occupancy in a stable pattern that shows promises of future expansion. Even though the customers do not like the speed of the pattern, long-term investors favor Pepsi exactly for this reason and therefore, the boost in price. The company is in their "maturity" state where the product is said to be enjoying the maximum economies of scale and can carry this success for quite a while, if the right tactics are used. If a company invests in Pepsi today, by 2015, Pepsi promises to rise almost 100 points more. You need to be patient when it comes to investing in such areas of business and to give you satisfaction, you get to see the capital increase over the years. 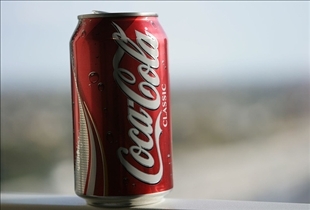 However, Coca-Cola is not seen to be giving the same fluctuation to the investors as it changes in a $5 range. This may attract those who believe in fixed income but since the past decade, no significant rise has been seen nor are there any signs of possible expansion. Coke has tried to add to its value to the maximum but it is feared to experience diseconomies of scales sometime in the near future. Pepsi is expanding itself by focusing on CEO's that are of different cultures and this is the reason it is being a step ahead of Coca-Cola. Coke therefore needs to have different strategies to gain popularity in different parts of the world and match the steps that Pepsi is taking. Pepsi updates itself after an interval of few months to show their stability when it comes to investors which shows that they are generally financially established. Come on guys. You obviously don’t drink sodas. There is a big difference between them. Coke is more carbonated. Pepsi is lighter. I think Pepsi tastes better, and they definitely have the best commercials. Trolls have no lives period. Pepsi is better all the way !!!! Root Beer vs. Coke vs. Soda: What's in the Fridge? Santa Barbara vs. Napa Valley Wineries: Where's the best wine? Red Wine vs. White Wine: Fruity or Dry?